Sunshine Coast Football Club are pleased to confirm our first senior signings for the 2019 NPL season. The club have signed Alex Newcome, Harry Fletcher, Lochie Tolputt, Matthew Holley, Michael Hearth and Owen Brader. All the players will be based with our U20’s side and be looking to challenge for senior NPL football this year. Alex (17) joins us from the U18 Sunshine Coast Wanderers league winning side along with Harry (17), Lochie (17), Matthew (18) and Michael (18). Michael also has the honour of being part of the Australian School Boys squad who are touring the UK in January. Owen (17) is a powerful centre mid who relocated to the Sunshine Coast late at the end of last season playing his football with Coolum and has previously played for the Central Coast Mariners in Sydney and Notts County Fc’s academy in England. Harry predominantly plays centre back with Alex, Matthew and Michael in midfield and Lochie upfront. 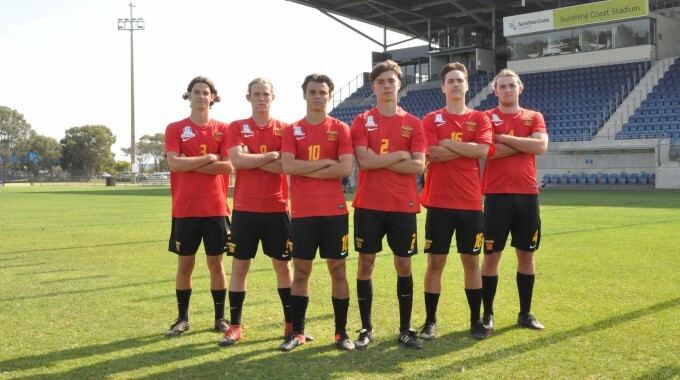 Speaking on the signing news U20’s coach Gary Newcome said “It’s an exciting new era for the Fire, with the signing of arguably six of the best young players on the Coast. All the players are local lads which speaks volumes of the club and their commitment to recruit the next generation”. We caught up with the boys today and when we asked Harry what attracted him to join up with the Fire he said “Since coming into the Fire I have been impressed by the professionalism and high standard of player here, being at the Fire is an exciting new chapter in my career and I can’t wait for the season ahead”. 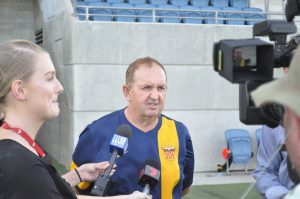 Richard Hudson was on hand to chat with the media and spoke about his excitement for the year ahead “It’s great to have the best youth prospects on the Coast joining the Fire. The future is looking bright”. The boys have been looking sharp in preseason training and we look forward to having them as part of the Fire this year.